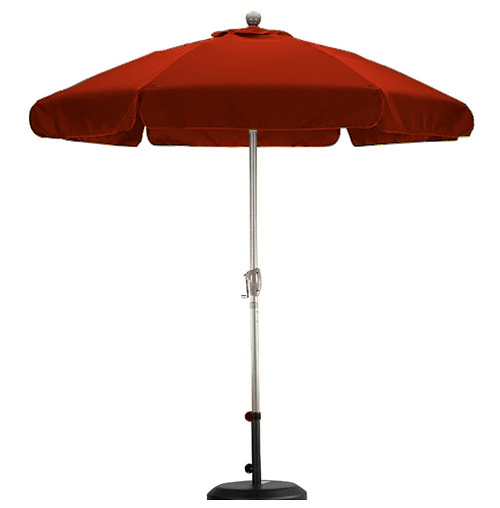 California Umbrella 7-ft 6-in fiberglass ribbed market aluminum pole umbrella with valance is the traditional patio umbrella which has been made over with a resilient fiberglass rib system. This spacious 7 foot six inch canopy has a styled valence cut that completes a carefree patio space and offers some additional extra shade. The fiberglass ribbed market umbrella with valance utilizes an aluminum pole, incorporates a crank handle along with a tilt feature and integrates a spun polyester fabric cover. 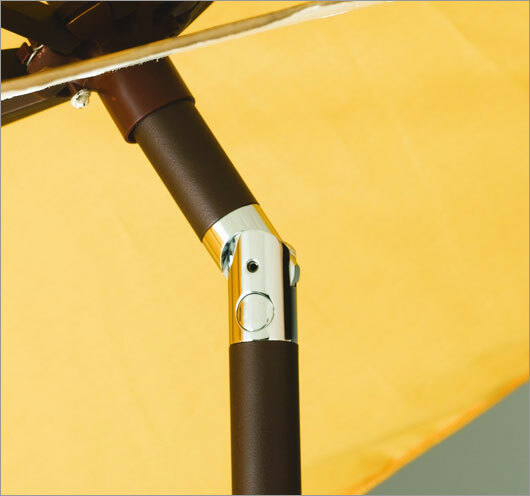 This aluminum pole market umbrella is a high quality umbrella with a value price as it is a good basic structure featuring most traditional umbrella options. 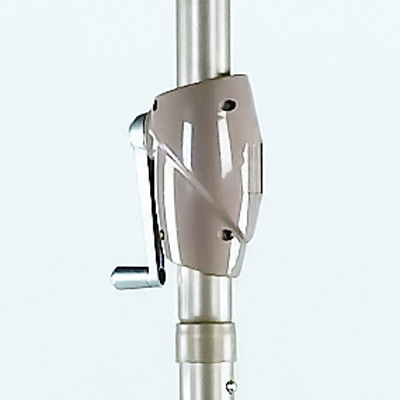 The crank open aluminum frame and durable fiberglass ribs provide an affordable and lasting shade solution topping all the competition in both quality and value! 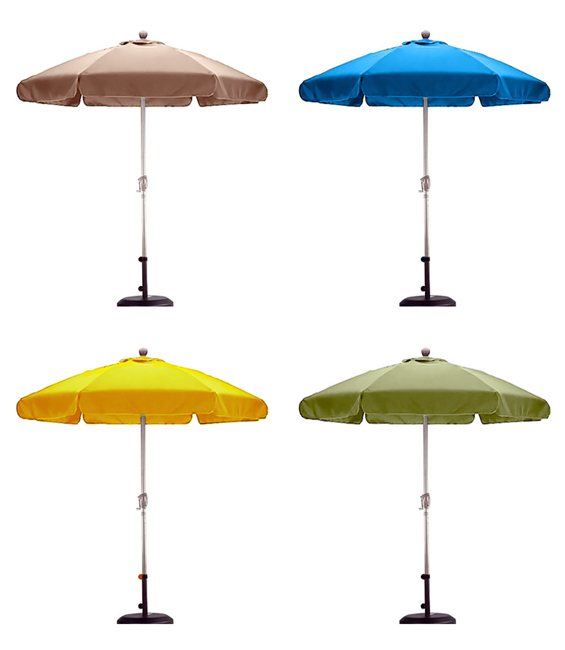 Please note that all umbrellas are sold without the base due to excessive weights and shipping charges which oftentimes run as much or more that the umbrella price alone.